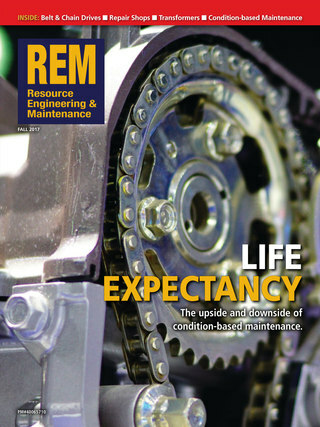 Resource Engineering & Maintenance is Canada’s total reliability magazine for industrial engineers, plant operations and maintenance professionals in large scale, asset-intensive resource industries. Our mission is to provide readers in the field and in their facilities with the information they need to increase manufacturing production and equipment uptime, integrate new technology, reduce operating costs, manage groups of skilled professionals in an industrial setting and encourage career development. Resource Engineering & Maintenance is published four times per year, delivered to your home or office.